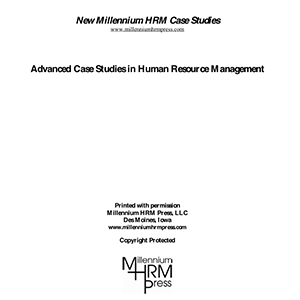 Written by a team of experienced researchers, teachers and managers, Managing People as Assets presents the most comprehensive set of human resource management case studies currently available. The cases are sure to engage critical thinking and facilitate individual and group decision making. 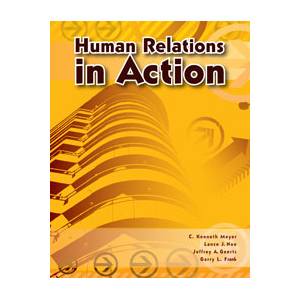 Especially noteworthy are the chapters on: the use and application of case studies as a learning device, the changing nature of work and the workplace in the 3rd Millennium, and numerous web sites that are frequently used by Human Resource Management specialists. The 57 real-world case studies are based on management and policy situations that commonly occur in all three economic sectors — public, private and nonprofit. Nearly 300 meaningful concepts and trends associated with the changing nature of work, the workplace, technology and demographics of 21st century organizations are explored. Managing People as Assets is a must have teaching and training resource that enables executives, managers, supervisors and policy makers at all stages of professional and administrative experience to purposively integrate theory with practice and make the management of people live. ​Nearly 300 meaningful concepts and trends associated with the changing nature of work, the workplace, technology and demographics of 21st century organizations are explored. 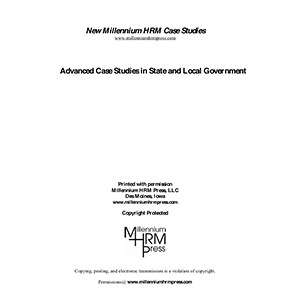 In addition to the standard issues of everyday human resource management such as recruitment, selection, evaluation, compensation, benefits, and legal/liability, the cases deal with the salient topics of globalization, lean and “cutback” management principles, ethics, outsourcing, collaboration, transparency, accountability, sustainability, volunteerism and violence/security in the workplace. Provided at the end of each case is a Learning Assessment tool provided to help students reflect on the case and summarize the class discussion regarding the case issues and conclusion for preferred approach to the situation presented. 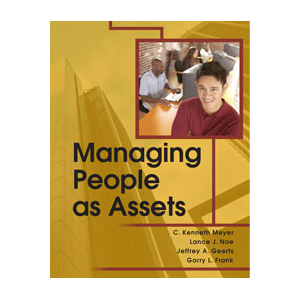 Be the first to review “Managing People as Assets” Click here to cancel reply.